ABC show The Checkout to call out Aldi for its catalogue ads as it accuses them of breaking consumer law. 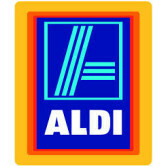 Aldi is extending its Christmas campaign with a slew of short form content. Apple and Coles have dropped in rankings in the latest global brand sentiment index mid-year findings.